Archaeologists are stumped after finding a 100-year-old Swiss watch in an ancient tomb that was sealed more than 400 years ago. They believed they were the first to visit the Ming dynasty grave in Shangsi, southern China, since its occupant’s funeral. But inside they uncovered a miniature watch in the shape of a ring marked ‘Swiss’ that is thought to be just a century old. ‘When we tried to remove the soil wrapped around the coffin, suddenly a piece of rock dropped off and hit the ground with metallic sound,’ said Jiang Yanyu, former curator of the Guangxi Museum. 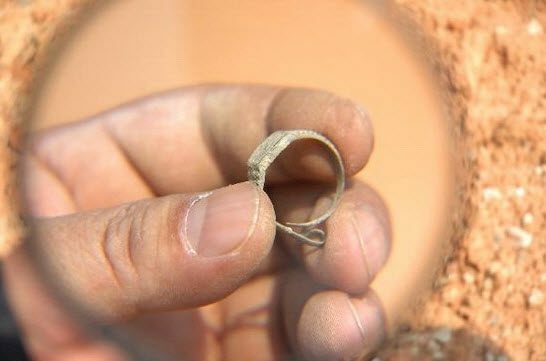 ‘We picked up the object, and found it was a ring. The Ming Dynasty – or the Empire of the Great Ming – was the was ruling dynasty in China from 1368 to 1644.